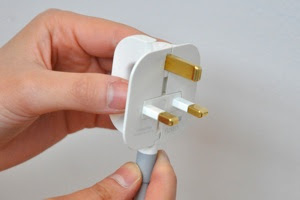 And I am supremely delighted to know that Min-Kyu Choi of South Korea had designed and reinvented the standard British 3-pin plug into a slimmer version which he dubbed "Folding Plug". 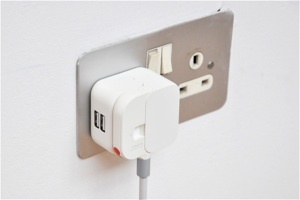 His idea was triggered by the fact that Apple's MacBook Air, the world's thinnest laptop to date, has a large electrical plug which tears through whatever is within storage range, including laptop bag's fabric and the laptop itself. Folding Plug is designed to be, as its name suggests, foldable in order to increase mobility and storage, while meeting the British Standard regulation at the same time. 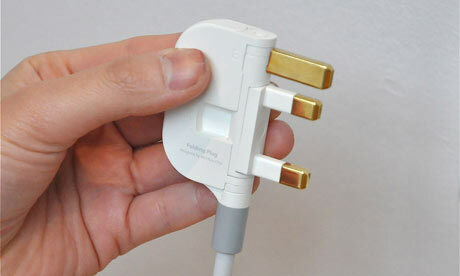 When the plug is folded, all three pins are aligned in a row, thus achieving the purpose of minimal space consumption. 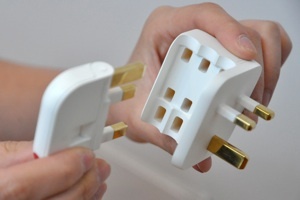 Unfolding the plug and rotating two of its pins will reveal the familiar configurations of British 3-pins plug. 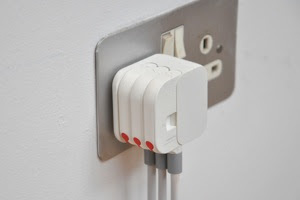 The design can easily be fitted into a custom multiple plug holder, as well as one with a USB socket (image taken from Minkyu.com. The design won Choi worldwide fame when it was announced as the winner of Brit Insurance Designs of the Year award in 2010. This design goes to show that there is a lot of frustrating problems around us that we have taken for granted and nobody give these a second thought.